One question we’re asked a lot is, “What about artist endorsements?” Hey, we know endorsements are the Holy Grail for any musician. I mean, what’s not to love? Free gear, street cred, a name you can throw around to pick up chicks (or dudes) at a party…we get it. As a company, endorsements give us an opportunity to create a family of musicians who really get what we do and love our look and sound. We at DrumMax believe mightily in supporting the musical community, in bringing back music education, and encouraging young musicians to continue to grow and inspire others. We’re a new company, so we’re looking for the right artists to join our growing family and grow with us. 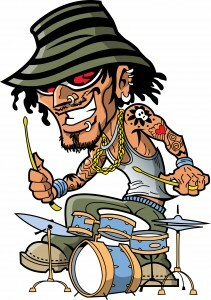 To artists that meet certain criteria, we offer DrumMax products at a great discount in exchange for mutual promotion. Specifically, we’ll do our best to promote our artists through all our various avenues, including, but not limited to: our web sites and growing social media following, signage at events, marketing materials, and other promotional opportunities. We ask that our artists promote DrumMax in live, video, and recorded performances, in photo ops, on your web sites, and in your recording liners (e.g. “Artist uses DrumMax custom drums”) and ask that you send us photos and videos of you using/displaying our products, as well as your list of tour dates and shows that we may promote them on our on-site calendar. Unfortunately endorsements are limited, and we receive a large number of requests throughout the year. We’ll do our best to get your request processed as quickly as possible. If you feel that you meet these qualifications, please complete the form located here.